KMS Europe has a proven track record of delivering results and driving efficiency across a multitude of sectors. In September 2016 Sainsbury’s acquired Argos in a move that now places them as one of the UK’s leading food and non-food retailers with over 837 Argos stores (including concessions). Sainsbury’s expansion plans include transforming 60 existing Argos stores to the new digital format and opening up to 250 new digital stores within the Sainsbury’s estate. KMS have a longstanding partnership with Argos working closely as their trusted Digital Signage and Technology partner on a number of projects, including their ‘Stores of the Future’ refurbishments. 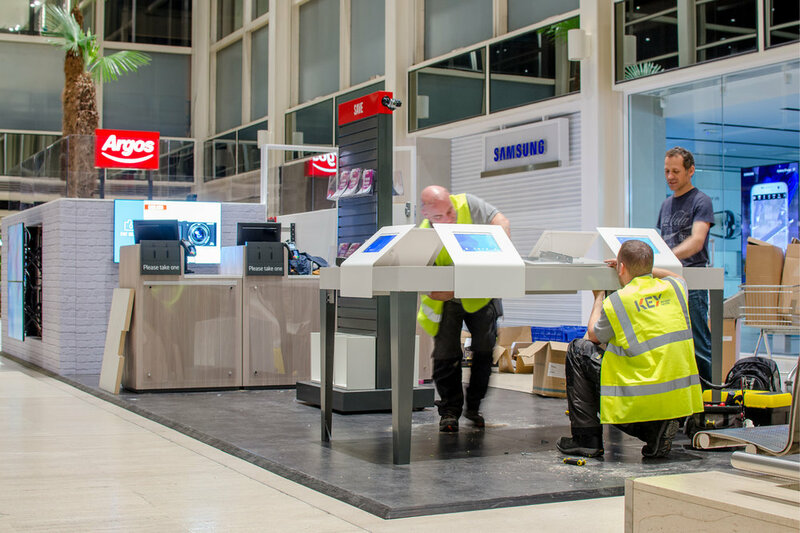 KMS were approached by Argos to support them with the construction and installation of the innovative digital pop-up store as Principle Contractors, the first of its kind for Argos. A prominent location at Centre:MK, Milton Keynes was chosen to offer maximum engagement with thousands of passing customers on a daily basis. The pop-up needed to convey Argos’ focus on a digital future whilst heightening customer experience and convenience over the 12-week Christmas period to encourage walk-on customers and interaction with digital browsers. As Principle Contractors on the build KMS liaised, co-ordinated and managed all suppliers involved, whilst our expertise as Digital Signage Integrators were also employed on the build itself. Installing a total of nine 46” digital displays, including a 2x2 video wall, three edge-lit lightboxes and six digital browsers with access to the full Argos catalogue. The 10m x 3m space provided a unique opportunity to communicate and engage with customers. Creative content played through the displays, video wall and static images on the lightboxes were able to inform customers of the latest promotions and provide key messages, achieving improved brand awareness through digitally displaying content and a strategic location of a high footfall shopping centre. The full construction of the pop-up store was completed within less than 48 hours over a weekend, ready for business on the Monday morning. The popularity of the pop-up store saw it surpassing the sales of a standard store during peak times, which led to extended trading by over four months. Established in 2007 Samuel Peter Hairdressing is well respected and recognised for high quality hairdressing in the North West, situated in the beautiful village of Culcheth, Cheshire. Started when good friends Samuel Tighe and Peter Walsh had a dream of opening their own salon, which now boasts one of the most talented teams of hairdressers in the region. Samuel Peter Hairdressing contacted KMS to see how we could help them drive their business forward with the latest technology. Offering customers, a truly unique service that is both highly efficient and cost effective. It was important to re-think the salon concept whilst keeping to the same layout, achieving a relaxed home from home environment. At KMS we are always looking for new technology advancements, so when Samuel Peter Hairdressing contacted us to assist them in creating a destination salon we knew we could support them. Installing a number of Surface Aircharges and Charging Orbs into the salon to improve customer experience, providing clients with easy access to charge their devices throughout their appointments. 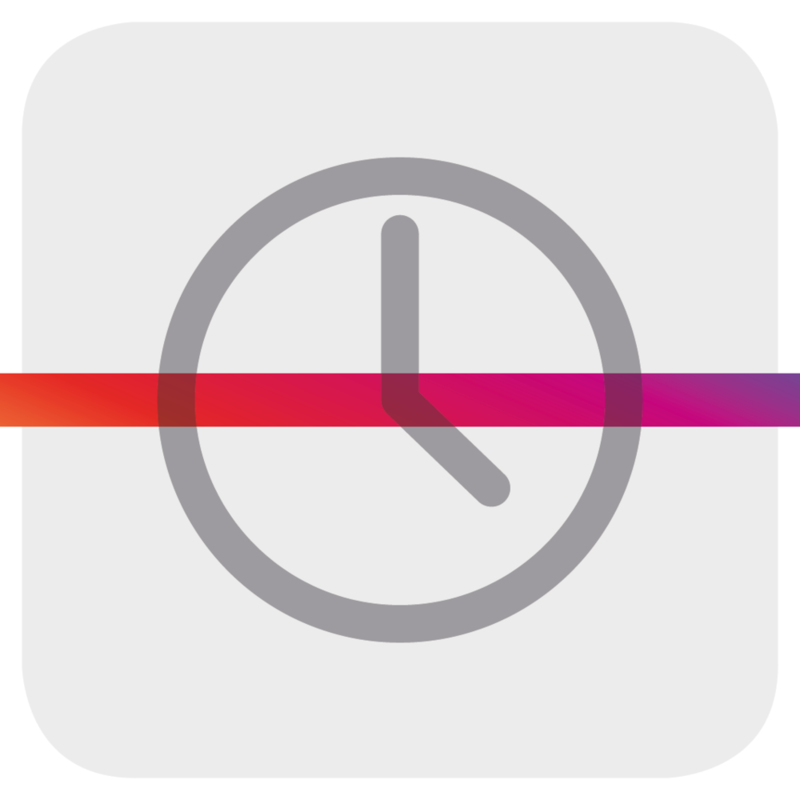 The Charging Orbs provide charging access to devices that are not currently compatible with QI software while the surface chargers allow for wireless charging with devices that are compatible with QI technology. Clients can now enjoy the freedom of charging their devices throughout an appointment, leaving with a fully charged battery an exclusive experience and a customer satisfaction that exceed expectations whilst driving return business. Grenade is a trusted sports performance and energy brand which has grown rapidly since 2010. Recognised as the world's fastest growing sports performance and weight management brand and also an exciting sports nutrition company, they have grown from strength to strength, most recently receiving their second private equity deal with Lion Capital. Grenade approached KMS in 2016 looking for innovative point-of-sale displays that would improve brand and product awareness, maximising engagement with their customers and ultimately driving sales. The displays needed to be versatile enough that they could easily be updated to promote new products and campaigns, whilst sitting perfectly within the Grenade image as a lifestyle brand for healthy eating. KMS were able to fulfil Grenade’s brief using our 49” floor standing LCD coolers and our 32” counter LCD cooler. The Cooler’s transparent door allows for HD video content to be played and updated as often as required at the touch of a button to promote the products stored in the coolers or latest campaigns. 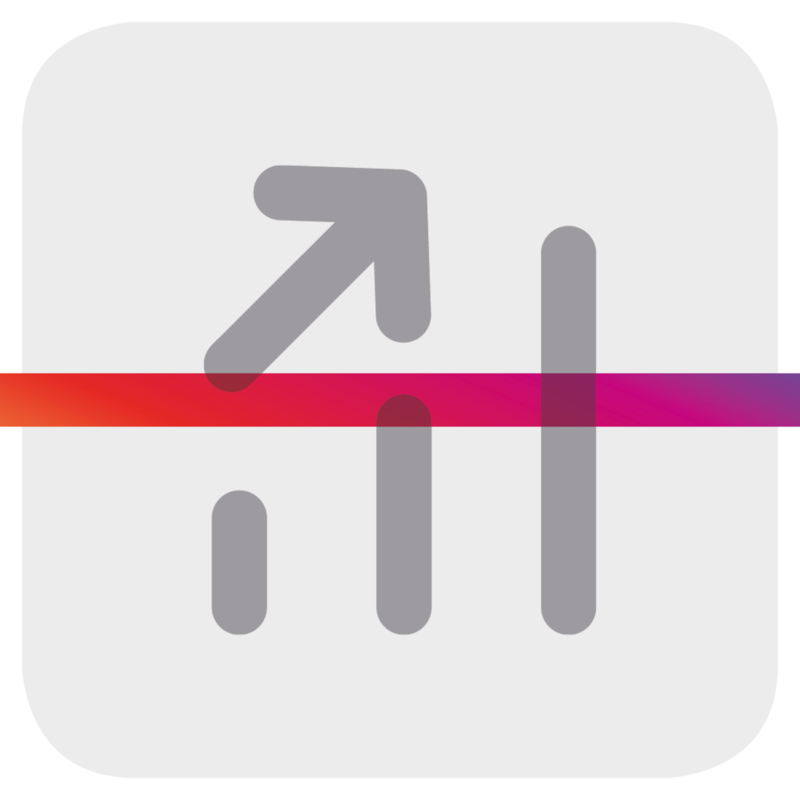 Built-in motion sensors and speakers have helped to further increase customer engagement. 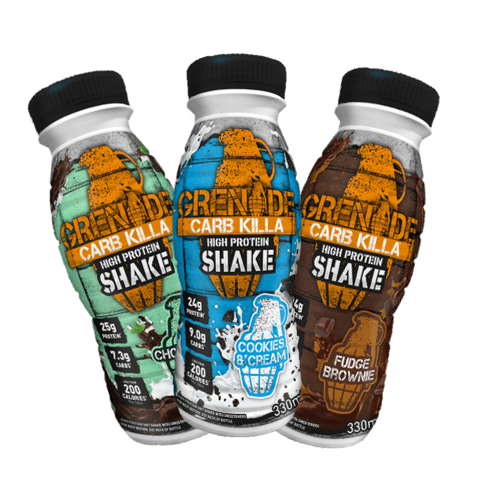 Grenade used the 49” coolers to introduce new products “Killa Coffee” and “Carb Killa Shakes” to their brand. The coolers were placed at the front of a Tesco Extra store promoting two products through the HD transparent screen whilst utilising advertising space on the sides of the cooler. The 32” coolers have been used at events and exhibitions to help promote the brand and products whilst keeping a brand consistency, ensuring that Grenade products are easily recognised in stores by their customers and fans. Grenade saw an increase of sales by 40-60%. These figures have substantially improved cash margin and average order size. Innovative technology within the screens have helped to grow brand awareness, not just through the thousands of consumers visiting the store per week, but also through social media, where followers and fans have posted videos and photos of the coolers. Following the success of the cooler in Tesco, Grenade have placed an order for 25 more coolers which will be deployed within Holland & Barrett stores as well as selected Met-Rx stores this year. In addition to this they are working with Health Clubs to build their brand and create “on-the-go” healthy eating. "KMS Europe have been supplying Intouch with digital signage solutions and support services for many years. Intouch has over 80 Hospitals across the UK using our solutions and KMS Europe's dedicated professional team, products and services have been essential in supporting us whilst we grow and manage our customer base effectively. I would not hesitate to recommend KMS Europe both as a company and for their solutions and services"
Chief Operating Officer UK & Ireland, Intouch with Health Ltd.